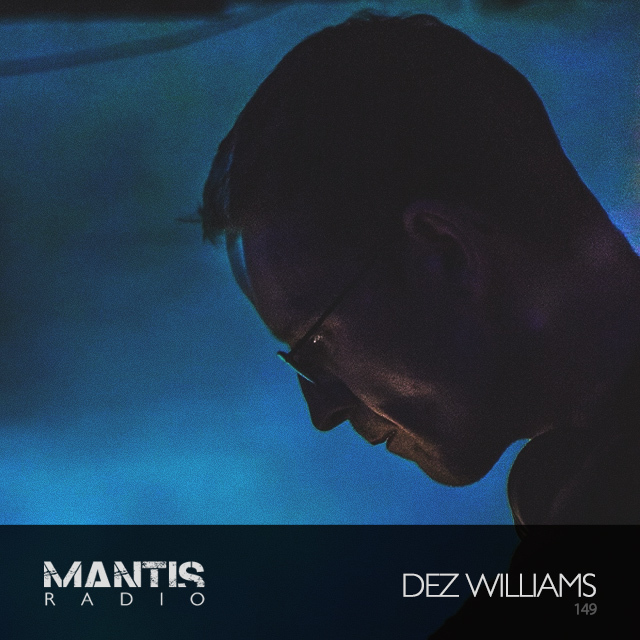 On Darkfloor’s Mantis Radio tonight we’ve great pleasure in presenting an exclusive session from Dez Williams. Before that, music from Radial, Anodyne, Coil / NIN, Shackleton, Actress and Derlich. Hailing from Holy Head, a small island off the coast of North Wales, Dez Williams is a seasoned producer. His isolation gives him the artistic freedom to freely express himself through the studio. he is unconstrained and has no urge to conform with any ideal or aesthetic and thus his electronic music is pure self expression. The result of which are tracks that often bridge the established electro and techno axis as well as breaking the moulds apart. A window into his soul. His sound is perhaps a product of his daily grind with boredom, escapism, events in his life and a long term passion for technology, horror and science fiction. Inspired by many of the classic Chicago / Detroit / electro / techno producers, like the finest, his sound is unique, uncompromising and unpredictable. His vision of techno is deep and futuristic with a heavy dose of funk. Last year’s Angel Maker EP, released on Dublin’s Earwiggle, ranks, in our opinion, amongst his finest work and gives a hint into what to expect during tonight’s session. Williams discography is varied and rich. Having released on several of electro’s finest – including SCSI-AV, Ai Records, Blase, Battery Park Studios, Welsh label Warm Data and his own Elektronik Religion; his tracks gather support from Dave Clarke, Adam X, Mike Dred and Rob Hall. His session tonight is all unreleased and all his own work. Two new releases are already on the horizon for Williams. The first, under the alias Fraction Man, is an EP on Bad Mums Records. The second, under his own name, on Bedouin Records. Those of you in Berlin will be able to catch him May 17th in the techno city (venue to be announced) and, if that wasn’t enough, he has a track on the forthcoming TRUST compilation due later this year.